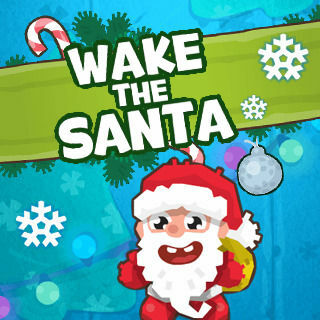 Escape winter tiredness and bring joy into your life with the puzzle and skillgame Wake the Santa! The sleeping Santa must be shaken with the snowflakes. The blocks must be eliminated, so the snowflakes can roll in the right direction and land on Santa. With each new level achieving this becomes more difficult. To gather the three stars every time both reaction and skill matter. Wake the Santa - Find Wake the Santa in our vast HTML5 games catalogue. Only the best and newest HTML5 games for all audiences. Guaranteed success with Famobi.